Improving outdoor living spaces can bring many rewards to homeowners, not least of which is a closer connection to natural surroundings. Landscaping and gardening don’t have to be expensive, but remember that durable and green materials are key when building for the outdoors. Appealing outdoor spaces can relieve pressure on a home’s interior. For example, a covered porch may reduce the need for enlarging indoor entertainment areas. An outdoor kitchen can help lower cooling bills in warmer weather. Outdoor designs can include conversion plans for year-round use later. New outdoor surfaces can reflect their intended use–a paved area for extra parking or a basketball court; grass or other soft surfaces for a family’s children. 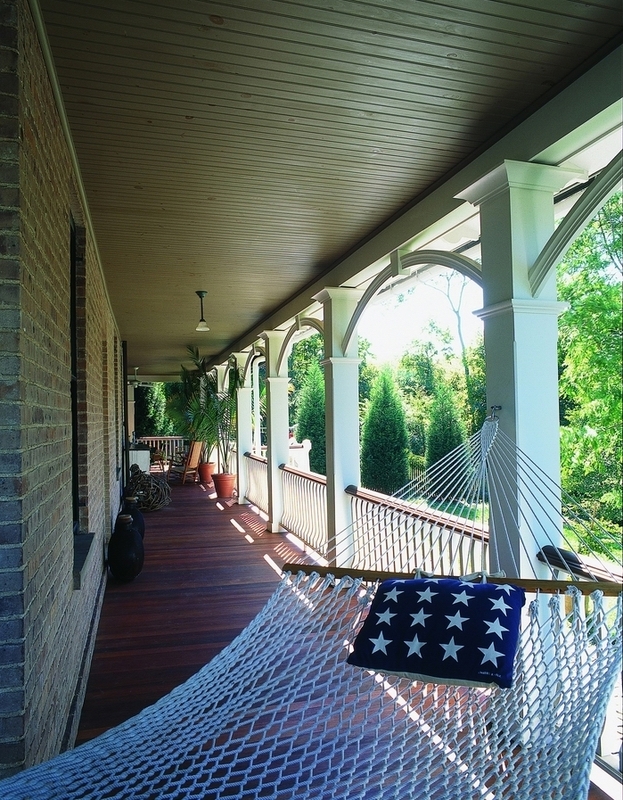 Attention is often focused on creating a private retreat in the backyard, but making the most of the front yard and a wraparound porch can enhance a sense of community. 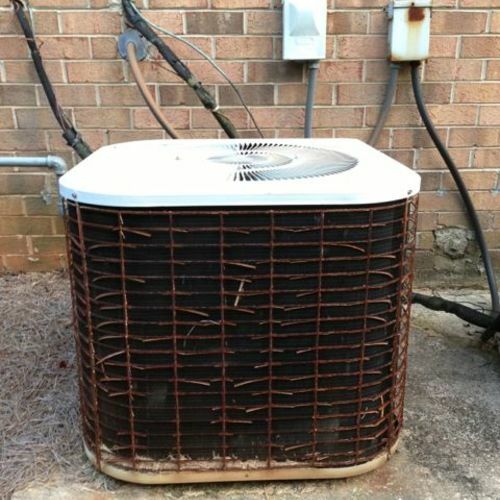 Assessing existing conditions can help guide the project. How can older trees, vegetation and natural habitats be protected? 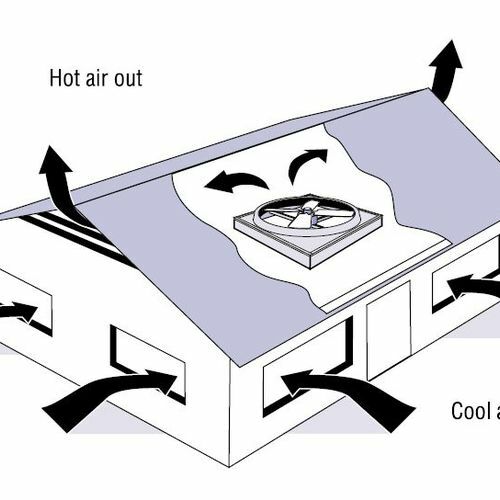 Will new features block sunlight in the house? Will new outdoor features affect water management on the site or contribute to drainage problems? 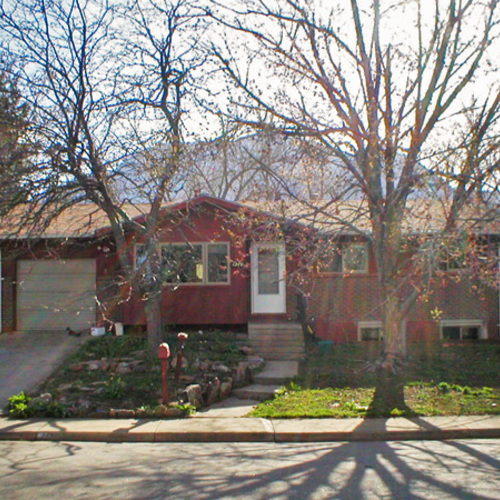 Could an existing carport or breezeway be incorporated into the project? Disturb the site as little as possible. Modify landscaping to improve solar access. Choose porous surfaces to improve water infiltration and reduce runoff. Reduce the size of the lawn and choose plantings that don’t need extra water, weed killers or insecticides. 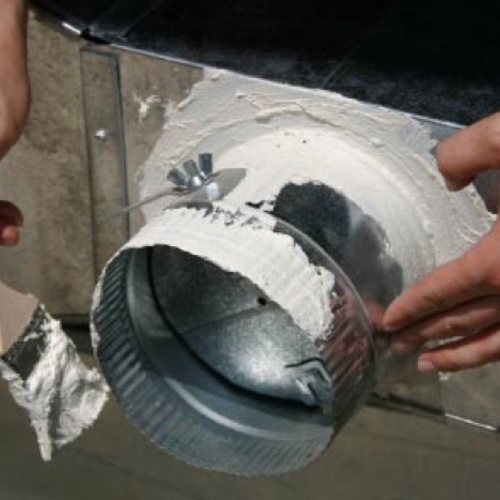 Consider a rainwater collection system (even a simple one) for garden and yard use. Where possible, make room for a vegetable garden. Try to reuse existing materials. Consider a ground-level patio rather than a wood deck (it lasts longer with less maintenance). Use environmentally friendly materials. When building a deck, detail the connection between the house and deck properly. If using pressure-treated wood, clean up and dispose of sawdust and shavings properly and take basic safety precautions while handling it. OUTDOOR ROOMS ADD TO A HOUSE’S LIVING AREA by becoming an extension of the interior spaces. 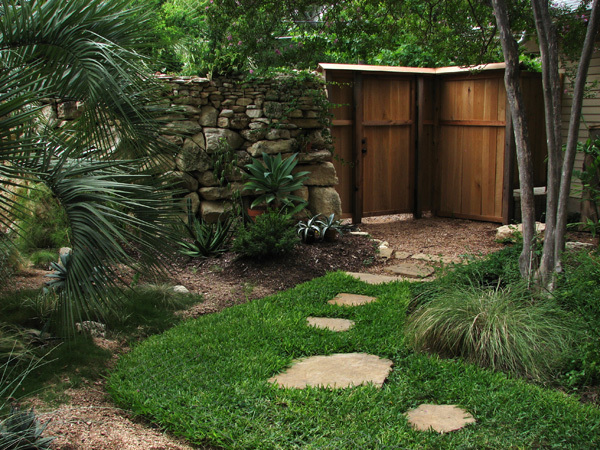 This garden meditation room won a Green Garden award from the city of Austin, TX. Over the past ten years, Grace Riggan and Joshua Bowles have transformed their yard from a crabgrass-and-concrete lot into an urban oasis. 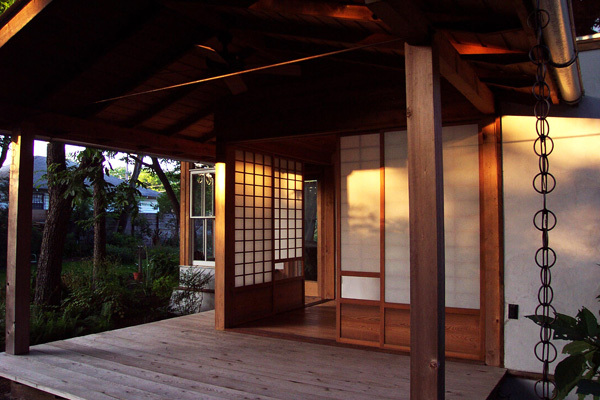 The house’s meditation room opens onto a deck that overlooks the garden. Hidden from the road by a large wall made of salvaged stone, the garden provides a haven for both wildlife and humans. 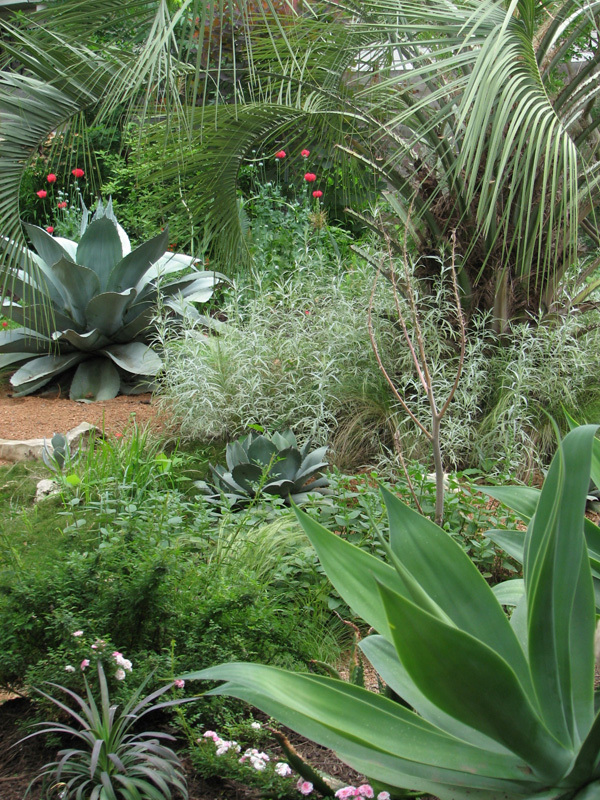 Native plants attract birds and butterflies, mature pecan trees provide food for everyone, and numerous cacti and agave species are found along the meandering paths. Located in an older neighborhood one mile from downtown, the garden recently won the City of Austin’s Green Garden Award. MINIMIZE THE DIFFERENCE between indoors and out. 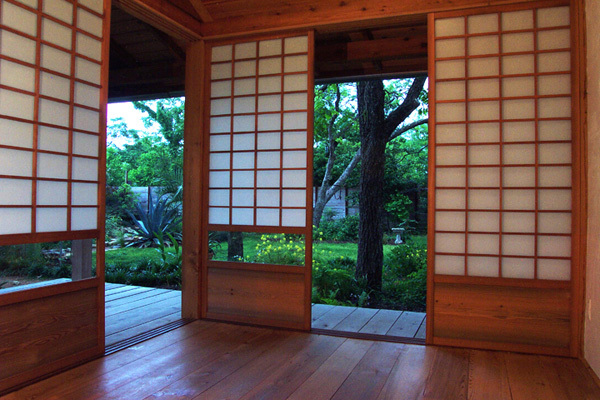 An added benefit of the meditation room is that is acts as a thermal buffer between the house and gardens. As children, both Grace and Joshua loved spending time on their grandparents’ small farms, and they wanted a design for their home that echoed the way in which household activities flowed smoothly from farmhouse to porch to farm. The open-air deck and lightly conditioned meditation room provide both a thermal and a psychological transition that, according to Grace, allows them to set the house thermostat on a more conservative setting. The curved and gated stone wall, patterned fon Mexico’s walled gardens, provides total privacy and encloses the entire yard while remaining inviting on a human scale. A wide variety of details, from the protected fence-top water trough for visiting birds to the hand-planed and unfinished cedar plank deck floor, make the garden both an environmental and an aesthetic accomplishment. 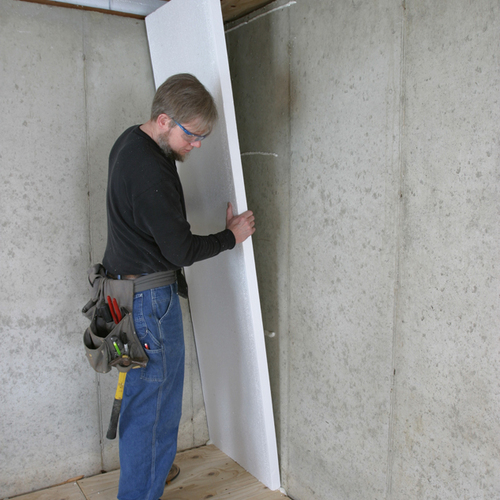 MINIMIZE THE IMPERMEABLE SURFACES. A small number of paving stones are the only areas of the garden that prohibit storm water from soaking in. LESS WATERING IS SMART WATERING. Choosing native plants that are acclimated to local weather conditions means that you’ll have to do less supplemental watering. Addressing water conservation was one of the trickiest aspects of the project. In Austin’s dry climate, even native cacti used for xeriscaping need some watering to look their best. The couple did not find an irrigation system that they felt confident would not eventually waste water through leakage. Currently, Grace waters by hand with a hose, using rainwater from a 1,500-gallon rainwater collection system. Although its eight-foot diameter tank fills to capacity from just two to three inches of rain, it occupies a lot of space. The couple is still looking for better ways to manage trade-offs with water-efficiency, use of space and convenience. Other than a stand of large pecan trees in the back, the original site was aesthetically unappealing. Eager to make the space their own, the couple started at the edges of the property, replacing weeds and pavement with native drought-tolerant plants. The design of the garden emerged bit by bit as they worked; the many limestone boulders they salvaged from job sites were piled near the sidewalk for months before they started to build a wall. Over the years, the couple’s many outdoor projects helped them befriend the neighbors. Although the garden may look extravagant, it was not an expensive renovation. Instead, changes were made gradually, with everything in the garden done out-of-pocket. Grace attributes the organic look and feel of the space to this slower time frame. 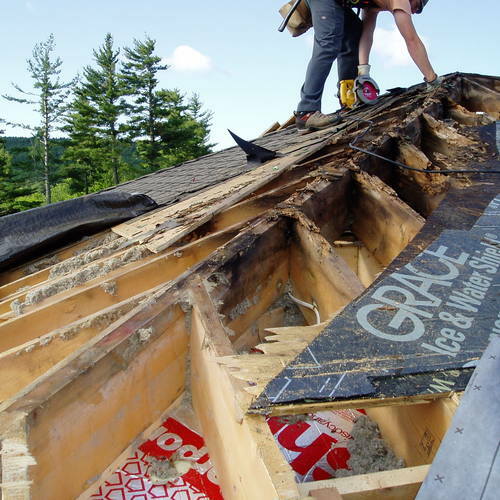 LEED for Homes For gut rehabs that include outdoor spaces, MR2.2 (Material & Resources) offers 1/2 point for decking that is FSC-certified, salvaged, or recycled-content; 1/2 point more if it is locally sourced.